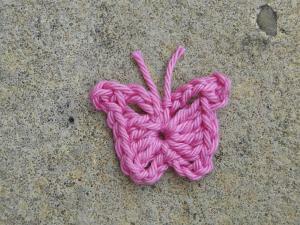 Here's a sweet and very easy crochet butterfly pattern that you can make in minutes! 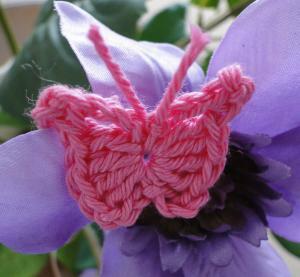 This butterfly is made in cotton DK with a 3 mm hook, and measures one and a quarter inches across at the widest point, or 3 cm. 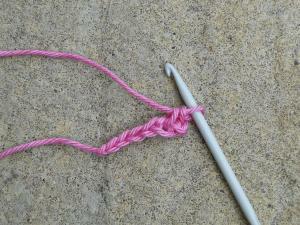 Follow pattern instructions for either US or UK terminology - and see some explanatory pix below! Ch 7, sc into 3rd chain from hook. 4 dc, ch 3, ss, (first half of butterfly made) ch 4, 4 dc, ch 3, sc into 3rd chain from hook, ch 3, ss into center again to finish. Snip off working end of yarn and tie off. 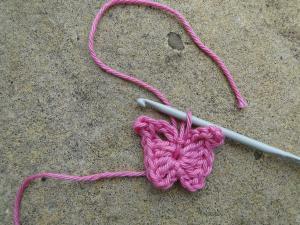 Then snip your two yarn ends evenly to make the antennae. Ch 7, dc into 3rd chain from hook. 4 tr, ch 3, ss, (first half of butterfly made) ch 4, 4 tr, ch 3, dc into 3rd chain from hook, ch 3, ss into centre again to finish. Then round to the half way point. 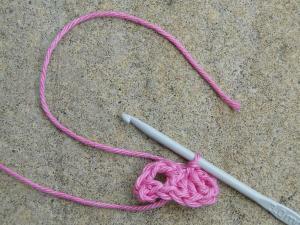 ...and we're ready to snip the working end of the yarn and pull it through the loop on our hook! Tip: Even up the top corners of the wings by pulling them out gently if necessary. 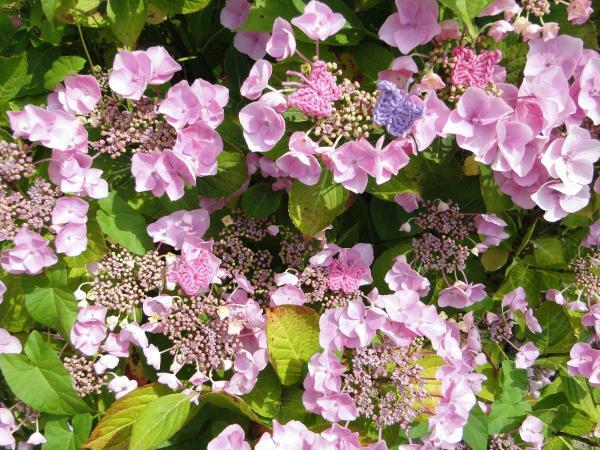 Several other crocheted butterflies seem to be enjoying the afternoon sun - there are five little flutter-byes hiding in this hydrangea!